The automated Hex-dominant operation for internal flow reduces the parameter set of the original snappyHexMesh operation to a minimum and sets the rest of it automatically based on the CAD model you are meshing. You should use this operation to get a quick mesh in order to run preliminary CFD analyses. For fine tuning the mesh for more detailed analyses, you should use the ‘Hex-dominant parametric’ operation that provides all detailed parameters. 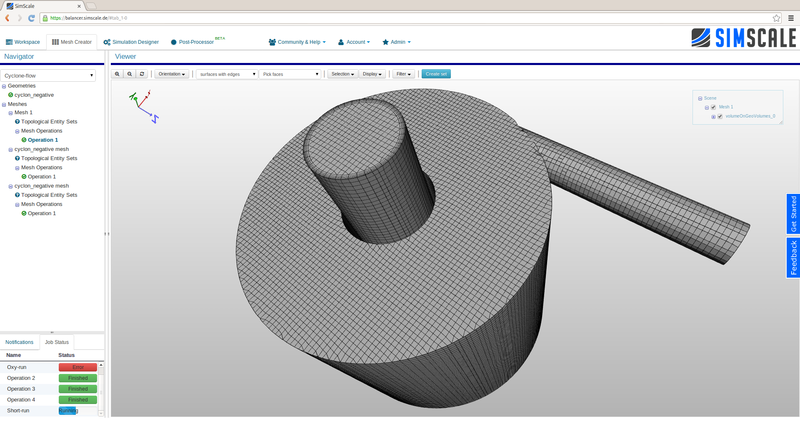 Find a tutorial for meshing an angled pipe geometry for a CFD analysis in the Angled pipe meshing tutorial.